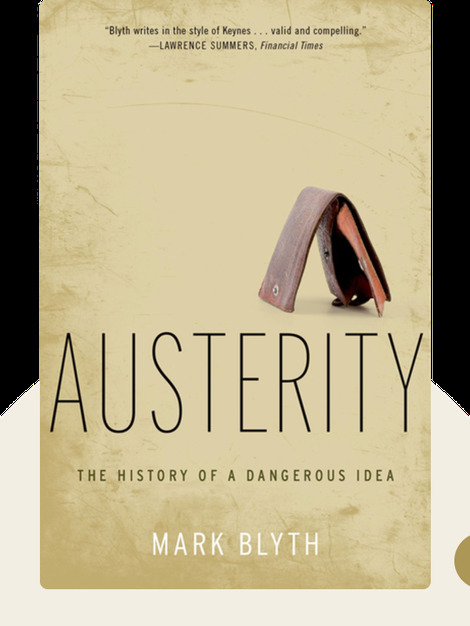 Austerity (2013) cuts through the confusion behind our recent financial crises and reveals what really happens when economists call for a policy of austerity to be implemented. This is when budgets are cut, public funding is slashed and working-class families suffer so that banks can be saved and continue to make billions. Find out what’s really going on and who’s really being protected when your country gets pushed into austerity. 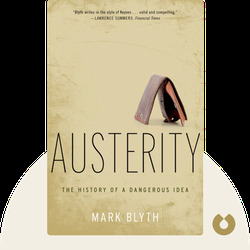 Mark Blyth is a professor at Brown University, where he teaches Political Economy and is known for his criticism of austerity politics. He is also the author of Great Transformations: Economic Ideas and Institutional Change In the 20th Century.